Feathers fly in a fiery blues jam back in 1975. 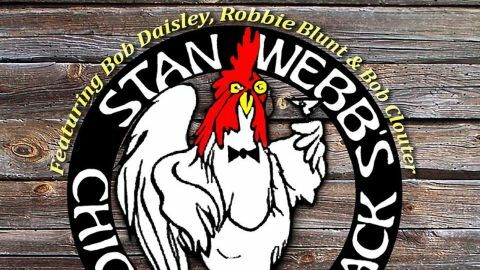 Blues guitarist extraordinaire Stan Webb has helmed the Chicken Shack band for half a century now, bringing in an extraordinary cast of musicians to help out along the way. One particularly tasty line-up comprised Webb, slide guitarist Robbie Blunt (later with Robert Plant), bassist Bob Daisley (Rainbow, Gary Moore, Ozzy Osbourne, Uriah Heep) and drummer Bob Clouter. Invited to support Deep Purple in 1975, the Shack would play small clubs on their nights off — and here’s one of those nights, in relatively scintillating quality considering the era.